No matter how much you love curls, doing your hair into a bun right after washing is an extremely bad idea for this purpose. It not only affects the texture of the hair, but also increases dandruff and split ends to a large extent. It also softens the roots of the shafts, thereby making them weak. As a result, you may experience severe hair fall. It is recommended that you make use of a soft absorbent or micro-fiber towel for getting rid of the excess water after hair wash. Wrapping your tresses in it will soak up the additional water just within a few minutes. 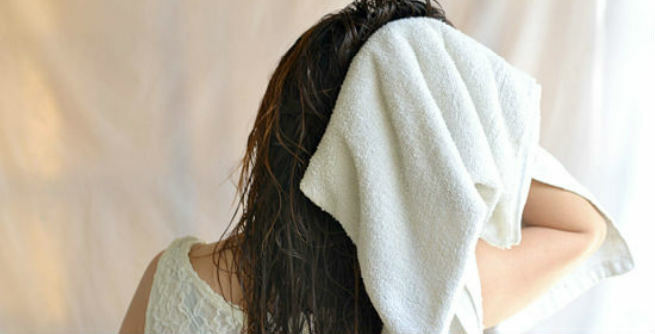 You should simply dab the hair with the towel instead of rubbing. Remember, rubbing your hair vigorously with any fiber can cause severe split ends. Damp hair has the maximum capacity of absorbing moisture and nutrients. So, once you are done with the towel-drying of your locks, apply a good leave-in-conditioner onto them evenly. This way, your hair roots will get hydrated as well as nourished sufficiently. Those who have super dry and frizzy hair can also apply a thin layer of a light-weight nourishing oil right after washing. It locks the natural moisture of the tresses in and prevents them from getting dried throughout the day. It is always better to dry your hair naturally. However, if you are in a hurry and needs to blow dry it, make sure that you do it only 90 to 95 percent and not more than that. Also, do not blow dry much frequently as the applied heat can make the hair strands dry, rough and brittle, thereby causing hair loss. You can also apply a protective spray onto the hair before blow drying it in order to prevent heat damages. Let the rest of the hair dry in its own way. It is even better to dry out the damp hair in the sun as the warm light can make your hair bouncy and beautiful. Never ever comb or brush right after washing the hair. Let it dry partially and then use a wide tooth comb for detangling. It will help prevent split ends as well as hair fall due to root softening. In case you do not have a wide tooth comb, use your fingers. While combing damp hair, always start from the ends. 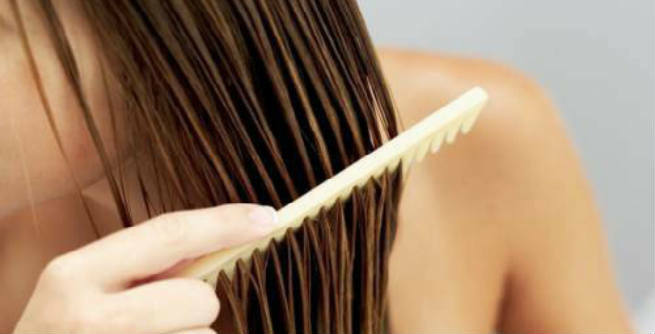 Go towards the scalp (in the upward direction) gently and slowly as you detangle the knots at the bottom. If your hair is frizzy by nature, it might become tough for you to untangle the knots after washing. In such cases, you may apply some detangler spray onto your hair. It will make your task easier. If you wash your hair before going to the bed at night, make sure that you dry it out at least to some extent before sleeping. Otherwise, your hair follicles will become extremely weak and your will experience serious hair breakage.